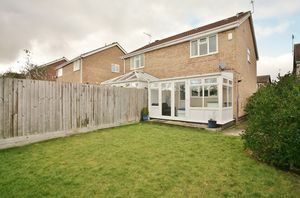 An immaculately presented three bedroom semi detached house located in a quiet cul-de-sac location within the popular Cherwell Heights development on the South side of Town, close to good Schooling and local amenities, re-fitted modern kitchen and replacement internal doors, fittings and new flooring. 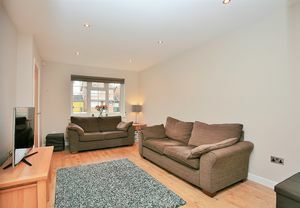 Stairs rising to the first floor, door leading into the sitting room and good quality Oak effect laminate flooring throughout. 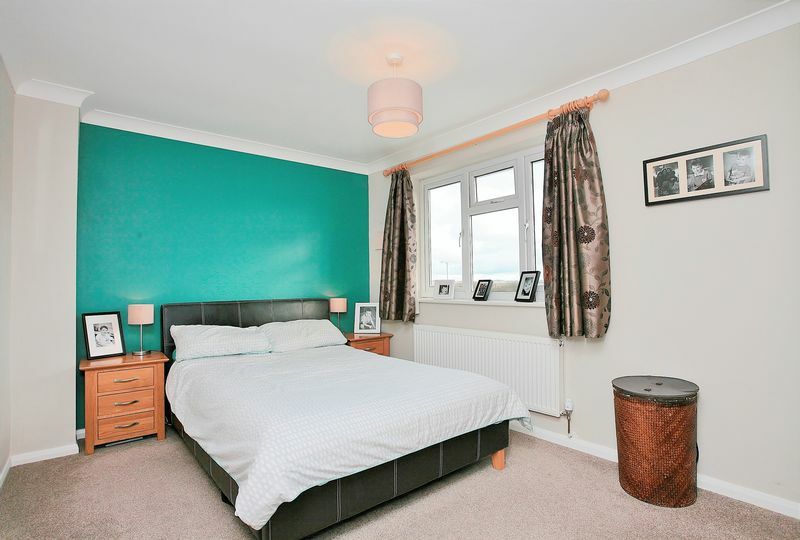 Window to the front aspect, fresh plastering to all walls, glass panelled door leading into the kitchen and continuation of Oak effect laminate flooring throughout. Re-fitted Howdens kitchen, gloss white eye and base level units with Evora grey worktops over, inset one and a half bowl sink with drainer, integrated Lamona fridge freezer, Lamona slimline dishwasher, Lamona double electric oven and four ring Lamona gas hob over with electric extractor hood above. 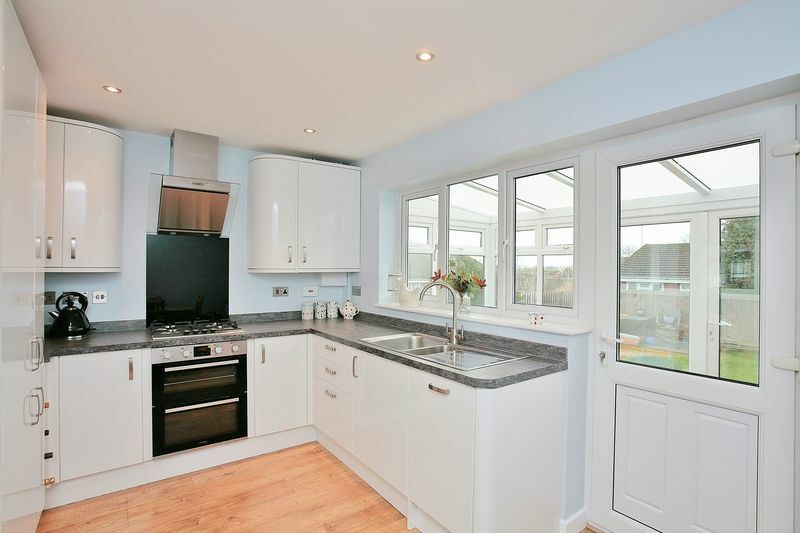 Space for a dining table and window and door leading into the conservatory, understairs cupboard and continuation of Oak effect laminate flooring. 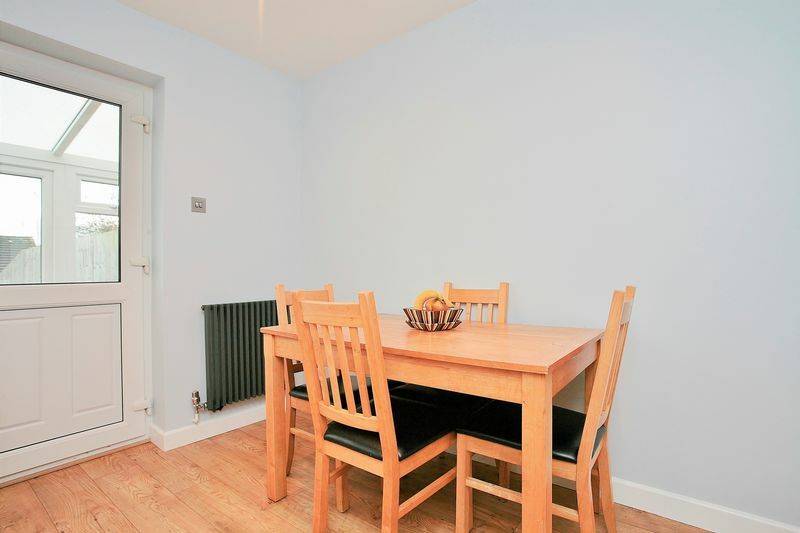 Useful addition to the house with a wall mounted electric heater, worktop area with space and plumbing for a washing machine and tumble dryer beneath. 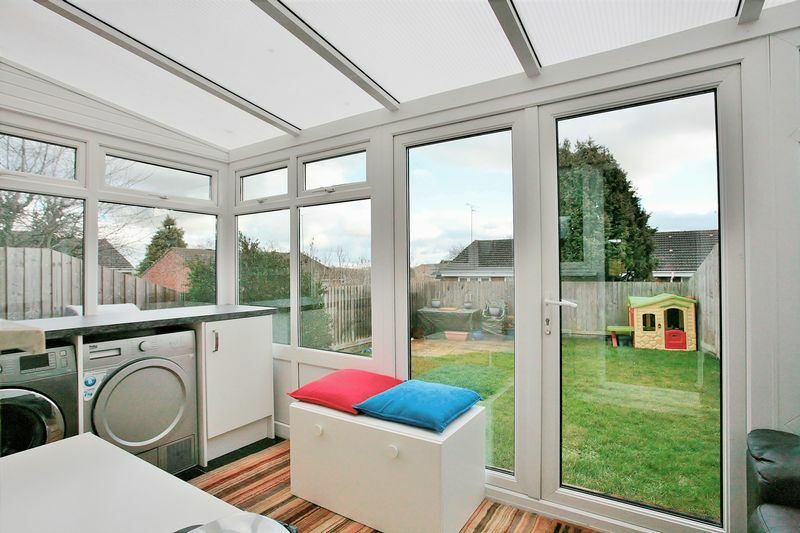 French Doors leading into the rear garden. Doors to all first floor accommodation, airing cupboard housing the hot water tank and loft hatch providing access to the roof space which is partially boarded with lighting. 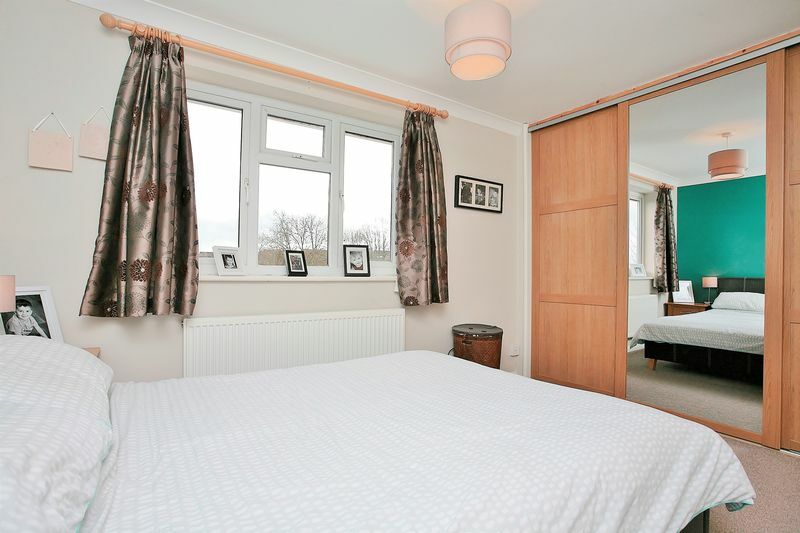 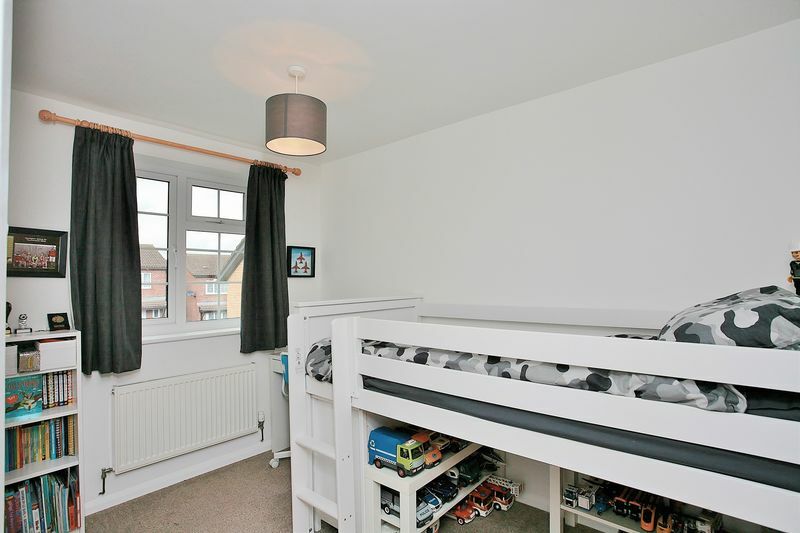 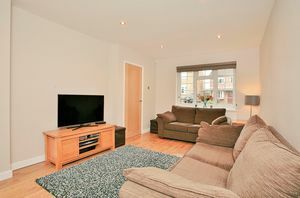 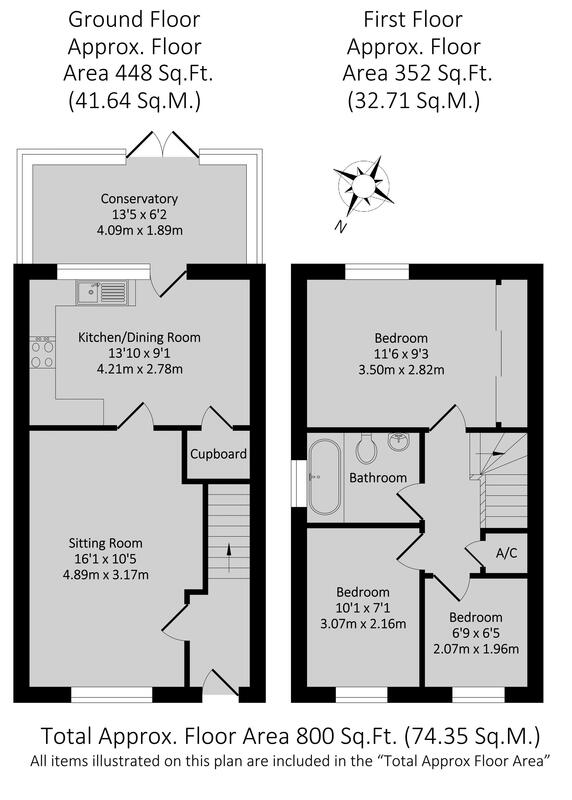 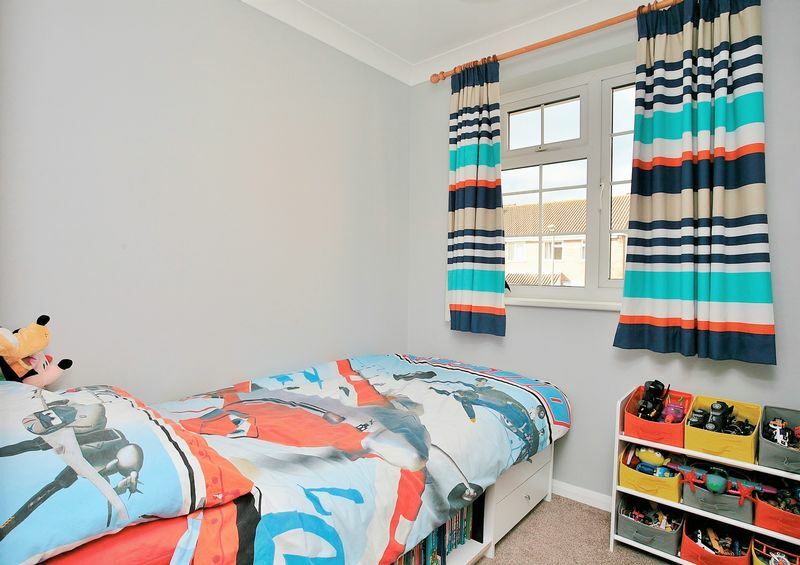 A nice sized double room with window overlooking the rear garden and built-in full height wardrobes with mirrored centre panel. 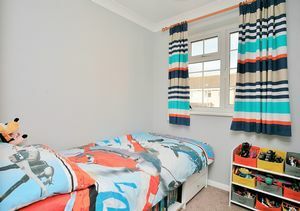 A good sized room with window to the front aspect. A single room with window to the front aspect. 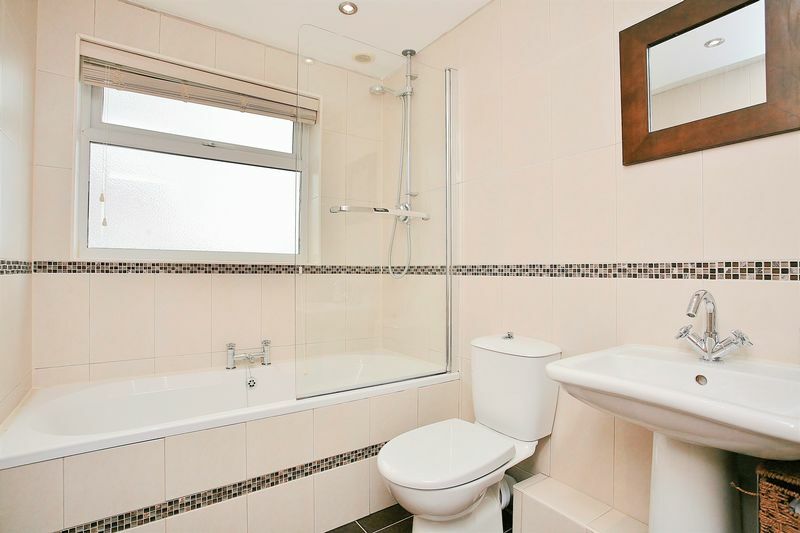 Fitted with a modern white suite comprising panelled bath, toilet and wash basin. Aqualisa mixer shower over the bath, heated towel rail, obscured window to the side aspect and attractive tiling to all walls and floor area. 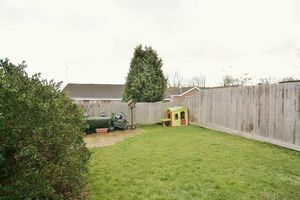 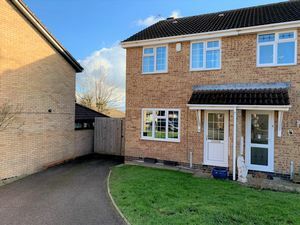 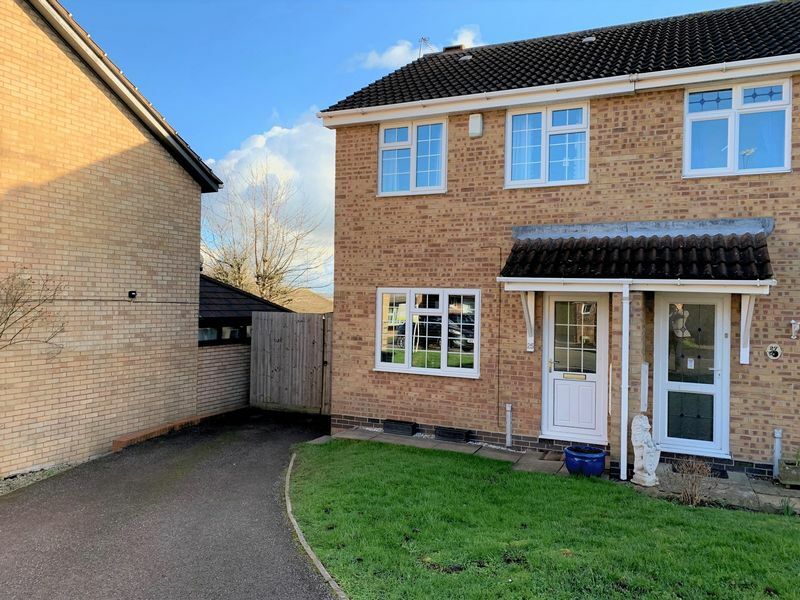 Outside to the rear there is a lawned garden with patio area, good quality fencing and side area currently housing a wooden shed, this area to the side is quite spacious and may be usable for parking if the gated fence panel were removed. Gate leading onto the front driveway where there is parking for two vehicles and a lawned area.